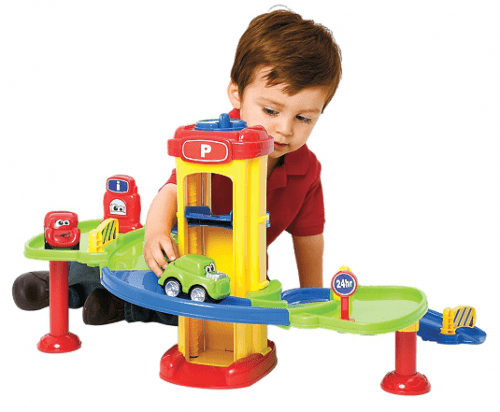 The Toy Parking Garage with Pull Back Cars is on sale for $19.95 at OneStepAhead.com today only. That's 50% off the regular price of $39.95! This toy garage facilitates hands-on play: twist the handle to work the elevator, then swing the gates open and closed. Helps build coordination and inspire imaginative play. For 18 months and up. 24½”L x 16¾”W x 14½”H. The pull back cars are also fun to race on the floor. 2″L x 3¾”W x 2″H. This promotional price is valid for today (3/15) only or while supplies last.